It was an easy second weekend for The Dark Knight Rises, at it took the top spot at the box office with about $64 million. However, it was down about 60% since last weekend, as many were staying home due to the Olympic Ceremony. Business was up on Saturday, helping it rebound a bit. 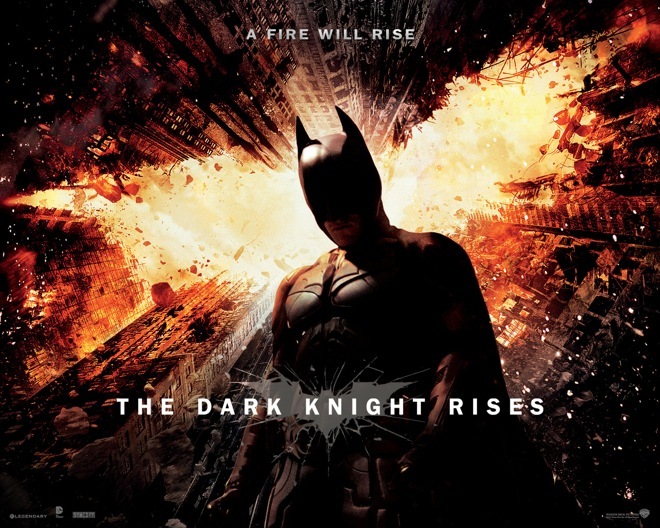 Worldwide, The Dark Knight Rises has already grossed $537.7 million. As for the newcomers, The Watch and Step Up Revolution, they're both flopping, with $13 million and $11.8 million respectively. It's better news for the later, since it's budgets is about half of that of The Watch. A couple of new movies open in theaters this weekend, trying to dethrone The Dark Knight Rises. Hit Factor: Looks mildly funny. Name actors. Flop Factor: For such a star studded film, marketing seems a bit weak. I barely even knew it was coming out this weekend. Hit Factor: The trailer is funny. Flop Factor: Me finding the trailer funny, isn't probably a good thing. In respect to the victims in Aurora, Colorado, Warner Bros (and along with other movie studios), decided to not released box office information till today. The Dark Knight Rises has the third biggest opening, behind Harry Potter and the Deathly Hallows Part 2's $169.2 million and The Avengers' $207.4 million. 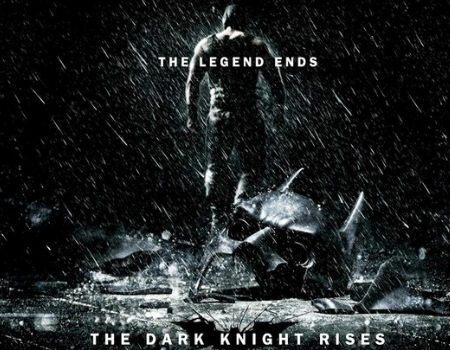 The Dark Knight Rises Box Office Prediction? Only one, giant, epic film hits theaters this weekend. Hit Factor: Umm... The last one made $1 billion worldwide. The epic conclusion to a great trilogy with a huge fanbase. Flop Factor: It won't flop. It just has to show The Avengers who's boss. The fourth installment of the Ice Age franchise easily took the top spot at the box office this weekend, with about $46 million. $46 million is a nice amount, but not exceptional, considering that this Summer's other animated family flicks, Madagascar 3 and Brave, opened at $60.3 million and $66.3 million respectively. 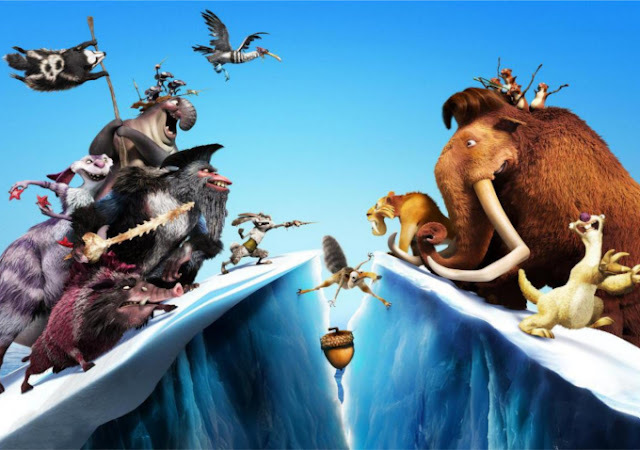 The crazy thing about the Ice Age franchise, is that it does very well overseas... Ice Age: Continental Drift has already grossed $339 million. Well, one week left to The Dark Knight Rises comes out. Only one new movie hits theaters this weekend in wide release. Hit Factor: Ice Age 3 is the highest grossing animated movie overseas. Flop Factor: The franchise kinda leveled off in the States. Will The Dark Knight Rises make more than The Avengers? With The Avengers making an absurdly record shattering $207 million on opening weekend, one has to wonder if the final chapter to the Christopher Nolan, Christian Bale Batman saga, The Dark Knight Rises will surpass that amount. Going into Summer I would have definitely said, "Yes." As, at the time, it looked like The Dark Knight Rises would be the biggest movie of the year. Now, I'm a bit in doubt because $207 million is a tall feat to overcome. Also, The Avengers is getting closer to the $1.5 billion mark overall, worldwide, and is looking more likely to to surpass that too. One thing that The Avengers had going for it, is the fact that there was no competition at the box office when it did come out... I mean Think Like A Man was in a far away second place, followed by The Hunger Games in it's seventh weekend... so not much competition there. Post debut, it easily toppled big budget flops Dark Shadows and Battleship. 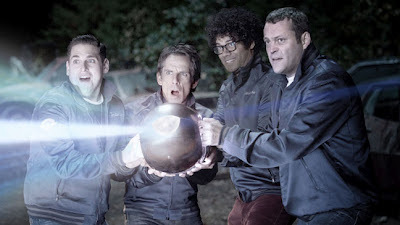 Only Men In Black 3 managed to take it out of the top spot, but by that time The Avengers was well into it's fourth weekend. In contrast, The Dark Knight Rises does have some competition as The Amazing Spiderman will still be in theaters, and to a lessor extent Ice Age: Continental Drift will be on it's second weekend. The good thing for The Dark Knight Rises is that it should easily pummel through it's second weekend as low-key movies The Watch and Step-Up Revolution debut. The only movie that might steal some of it's audience, is Total Recall which debuts in The Dark Knight Rises' third weekend. Though, that could do a repeat along the lines of Battleship. Thus, The Bourne Legacy, which hits August 10 could be the movie that finally takes the top spot. But, by then, The Dark Knight Rises will probably have clobbered the box office. The Dark Knight Rises is also supposedly clocked in at 2 hours and 45 minutes, compared to The Avengers' 2 hours and 22 minutes. Though, I don't know how much less screenings that would mean. Also, with The Dark Knight Rises being "dark" it may play less towards families as The Avengers did. The Avengers also had the advantage of being played in 3D, so there's some extra percentage charges for that. I do thank Christopher Nolan for not succumbing to the 3D pressure on The Dark Knight Rises, because I'm pretty sure Warner Bros. nudged him to go the 3D route, like they did on the final Harry Potter film. The biggest detriment to The Dark Knight Rises, may not be another movie, actually. The Olympics, which starts on the 27th of July could have everyone in the world glued to the TV for the next couple of weeks. Anyhow, The Dark Knight Rises needs to get great word of mouth, and great reviews to have longevity. Opening weekend should be huge, possibly beating The Avengers' $207 million, since crazy fanboys are probably treating this as a competition to against The Avengers, just for records sake, but we'll see when the time comes... If you've learned anything about this year, is that the box office has been very unpredictable. 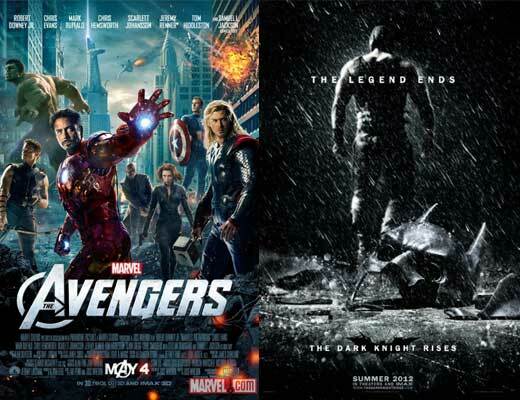 Do you think The Dark Knight Rises will beat The Avengers? It's kind of a weird Holiday weekend as July 4th fell on a Wednesday. Anyway, The Amazing Spiderman raked in a hefty $65 million over the weekend, easily putting the Web-slinger back on top for the fourth outing. Even though it's the lowest entry in the Spiderman franchise, it's ahead of recent reboots, Batman Begins ($48.7 million), Superman Returns ($52.5 million), Casino Royale ($40.8 million), and X-Men: First Class ($55.1 million). The Amazing Spiderman has already grossed $140 million since Tuesday and just over $200 million overseas. Savages did better than expected, placing in fourth for $16.2 million. Though, it might have some trouble surpassing it's reported $45 million budget due to it's C+ CinemaScore rating. Katy Perry's concert documentary Part of Me had a soft opening ($7.2 million). However, it should easily surpass it's reported $12 million budget, especially with the aid of positive reviews. Meanwhile, Ted, is this year's The Hangover and Bridesmaids (aka: Breakout Adult Comedy), as it came in second ($32.6 million) and so far has made $120.2 million in two weeks. Magic Mike and Madea's Witness Protection saw huge drops this weekend (up to 60%), though they are already both successes, as they only have minimal budgets ($7 million and $20 million respectively). A few new movies hit theaters this Holiday weekend, including one giant superhero reboot. 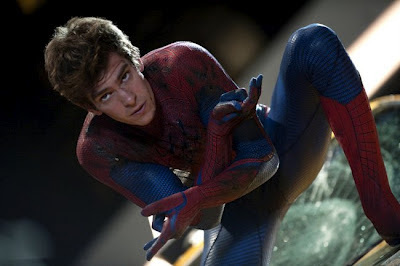 Hit Factor: Spiderman is one of the most popular Superheroes of all time. Flop Factor: A little soon for a reboot, perhaps? Hit Factor: Getting decent reviews for a concert film. Very low budget. Hit Factor: Big cast, has the Oliver Stone craziness style going for it. Flop Factor: Doesn't scream Summer movie spectacle. Oliver Stone's track record hasn't been all that great lately. 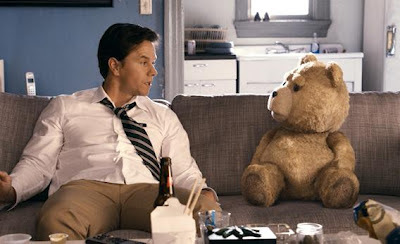 Seth MacFarlane's Ted opened to a huge $54.1 million, easily putting it at the top of the box office this weekend. Yes, it's performing way above expectations which is helping it set the record for best opening for an original R rated comedy. The previous record was held by The Hangover ($45 million). Meanwhile, Magic Mike had to settle for second place ($39.2 million). Though this is nothing to cry about as it is also performing way above expectations. With Ted and Magic Mike both being rated R, it's the first time in movie history that two R-rated movies debuted above $20 million. Brave held on strong for third place with about $34 million. And Tyler Perry's Madea's Witness Protection proved there's still an audience for this character, as it raked in $26.4 for a strong fourth place finish. Overall, the new movies did exceptionally well this weekend, giving the end of June a rather nice bump.